California native Zane Smith has been tabbed to drive eight NASCAR Xfinity Series races for JR Motorsports in 2019, the team announced today. Smith, a member of the NASCAR Next Program, will take the wheel of the organization’s No. 9 entry in his series debut at Las Vegas Motor Speedway (March 2) in partnership with The Cosmopolitan of Las Vegas for the event. The 19-year-old Smith is the first driver to be named to the lineup of JRM’s No. 9 team, which is coming off its second consecutive NXS championship (2017-18). The team intends to run a full-time schedule next season with a number of drivers at the helm. In addition to the Las Vegas event, Smith’s schedule is as follows: Bristol Motor Speedway (April 6), Richmond Raceway (April 12 and Sept. 20), Dover International Speedway (May 4 and Oct. 5) and Iowa Speedway (June 16 and July 27). Smith transitions to JRM from the ARCA Racing Series, where he posted a 2018 season that included four victories and a runner-up position in the season’s point standings. In 36 career ARCA starts, Smith has tallied 19 top-five and 25 top-10 finishes, along with three pole awards. 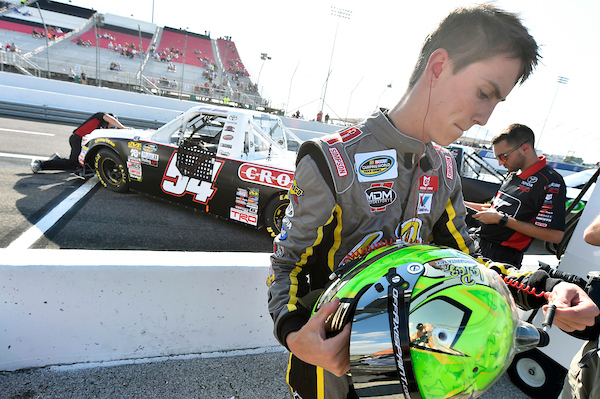 The young racer also made one NASCAR Truck Series start this past year, earning a fifth-place finish. Additional drivers of the team’s No. 9 Chevrolet, along with the crew chief and partner lineup will be named at a later date. Earlier this year, JRM announced its full-time roster which includes Noah Gragson in the No. 1, Michael Annett in the No. 5 and Justin Allgaier in the No. 7 entry.